The list of Corolla, NC, hotels includes four entries. No, we’re not kidding. Visitors who have never been to Corolla’s Outer Banks might assume, based on its reputation for being an upscale vacationers' mecca, that there would be many fine Corolla hotels, all competing for the premium slot. Again, no. That’s because the Corolla, NC, vacation rentals are the usual accommodation form for the area. And there are thousands of these, and they do compete for the right to be called the most luxurious, best equipped, most appealing…which makes the renters very happy. That said, because the two Corolla, NC, hotels (well, one, the Sanderling, is closer to Duck, NC, but is still located in that area between Duck and Corolla) are such exemplary options for those vacationers who don’t want to stay in a vacation rental home and because the other two properties – an inn and a bed and breakfast – are high quality and lovely, Corolla hotels still ranks near the top of stellar selections for Outer Banks hotels selections. Three of these properties for Corolla, NC, hotels are oceanfront with miles and miles of open sand and ocean, primed for strolling and swimming, and the other is located on the sound with its own breathtaking views. As we said, if you were to rank all Outer Banks hotels and other accommodations, these Corolla, NC, hotels would certainly be in the Top 10. That should also tell you that, if you want to stay at one of these gems, you’d best get your reservations in early at Corolla hotels. Consider the fact that at least some of the weekly 50,000 visitors coming to Corolla, NC, to experience Outer Banks will want to arrive a day early or stay a day later than their vacation rental home reservation even allows. Hey, who can blame them? So make sure you act swiftly when planning your trip. You can find any available deals for these accommodations on our Corolla, NC, Hotel Deals page. 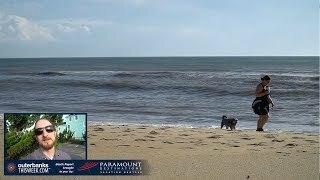 If you're interested in learning more about the other hotels in the area, discover all of the Outer Banks Hotels here. Located on the sound side in the Corolla Light Resort, the Inn at Corolla Light is all about pampering its guests. Rooms are furnished with king- or queen-size beds and sleep from two to four people. Many rooms have kitchenettes, whirlpool tubs, fireplaces or sleeper sofas, and guests enjoy a complimentary breakfast each morning. The inn actually hovers over Currituck Sound, so the views from many of the rooms are spectacular. Guests have access to free WiFi and bicycles. A pool, hot tub and 400-foot pier with a gazebo are on the property. Guests can also take advantage of all the numerous Corolla Light Resort amenities, which include an ocean-view restaurant, two pools, beach access, tennis courts, the sports center, nature trails and planned activities for kids in the summer. Plus, the inn has several pet-friendly rooms for dogs weighing from 10 to 100 pounds; a daily pet fee applies. Packages and specials are available, so check out their website for all the details. Note that the inn closes from late November to mid-March. If you want to see the wild horses of Corolla, the inn offers discounted horse tours through its preferred horse tour provider.